A new aircraft category is bursting onto the scene, and you should be part of it. New rules implemented by the FAA have given aspiring pilots a quicker and simpler way into the air. The Sport Pilot rating, and accompanying Light Sport Aircraft (LSA) certification, greatly eases the training and ownership burden for all those who dreamed of flying, but didn’t have the time or pocketbook for a Private Pilot rating. These new pilots and aircraft need avionics too, and shops should consider this work worthy of their time and investment. Ya, the small airplanes may not have the glamour, or profit margin, but as with all opportunities, sometimes the small things blossom into big things. 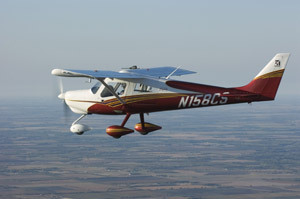 At last count, there are now 46 certified Light Sport Aircraft. The manufacturers, both in the U.S. and overseas, have been busy, for there weren’t any Light Sport Aircraft back in 2004. 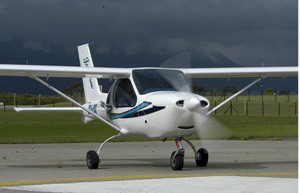 To be classified as an LSA, the aircraft must meet certain criteria. The aircraft must have a maximum gross takeoff weight of 1,320 lbs. (1,430 lbs for seaplanes), a maximum speed in level flight of 120 knots and carry no more than two people. If powered at all, it must contain a single, reciprocating engine. There are a few other limitations, but you get the picture that an LSA is intended to be used for recreational or flight training purposes. There are four ways an aircraft can make it into the LSA category. 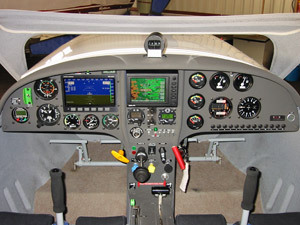 A person can build the LSA from a set of plans or purchase a kit. As long as the aircraft specifications fall within the LSA criteria, it would be certified as an Experimental-LSA. Aircraft under this certification may be used only for recreation or flight instruction of the aircraft owner. An avionics shop would treat these as any other experimental aircraft. Ultralights have been pushing the FAR limits for a long time. Many have multiple engines or carry two passengers, far outside the intention of FAR part 103. But the FAA has now allowed those “heavy” ultralights into the LSA category, and must be transitioned into the Experimental-LSA category no later than January 31, 2008. The third method is more about the pilots. Aircraft with a standard airworthiness certificate that meet the LSA specifications may be flown by sport pilots. However, the aircraft must remain in standard category and cannot be recertified as a Light Sport Aircraft. Many aircraft, such as the venerable Piper Cub, already fall within LSA criteria. Avionics shops would treat these aircraft just as they would any type-certificated aircraft. The final, and most complex, method are those aircraft created within the Special-LSA sub-category. These are factory-built specifically for the LSA market, and licensed as Special-Light Sport Aircraft. The maintenance of these aircraft is not ruled by FAR part 43, but by their own factory maintenance manuals. This is where things get tricky for the avionics shop. A Special-LSA can be manufactured and sold ready-to-fly, but must meet industry consensus standards. These Special-Light Sport Aircraft may be used for sport and recreation. 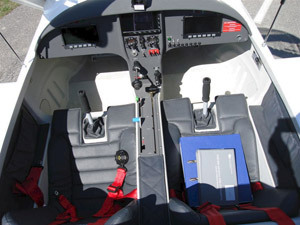 In addition, they can be rented and used for flight instruction. Either a specifically-trained repairman must perform their maintenance and inspection or an A&P. Pilots can also perform preventive maintenance, as long as the procedures are prescribed in the factory maintenance manual. The National Technology Transfer and Advancement Act of 1995 mandated that federal agencies should do their best to adopt technical standards agreed upon by the industry instead of creating their own government rules. This is nothing new, but the federal act now places the responsibility onto industry to direct themselves—always a good thing. The FAA mandated in the sport pilot/light-sport aircraft rule, that consensus standards be developed to govern the production of the Special-Light Sport Aircraft. The FAA engaged the American Society of Testing and Materials (ASTM) to assist the Light Sport Aircraft community in the development of those standards. Since Light Sport Aircraft are not allowed to fly at night or in the clouds, only the basics are required from the avionics. Many come equipped from the factory with just a comm and transponder, but some sport more elaborate electronics. Because of the ASTM Consensus Standards, all maintenance, inspections and modifications of Special-Light Sport Aircraft must follow the manufacturer’s manuals. A shop cannot just install an avionics unit under the guidance of FAR part 43. The avionics shop must follow existing procedures from the aircraft manufacturer or ask permission from the manufacturer. Therefore, it’s always a good idea to consult with the Special-LSA aircraft manufacturer before accepting an installation job. Pete also commented that even though their Special-LSA certified airplane does not fall under the maintenance practices prescribed under FAR part 43, the transponder and pitot/static systems still need to be certified every two years. An avionics shop can perform this maintenance, as long as they follow the prescribed procedures outlined in the factory maintenance manual. Jabiru is also keenly aware of the ever-changing world of avionics, and expects to work closely with avionics shops for future installations. 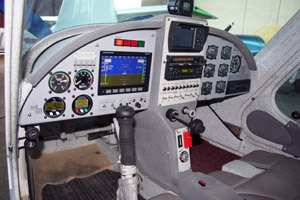 Dynon Avionics offers one of the more popular EFIS and Engine Management systems installed in Special-Light Sport Aircraft. Unfortunately though, they don’t reimburse avionics shops for troubleshooting or R&R costs—a burden the aircraft owner must assume. Ron Ulbrich, of Dynon Avionics, comments, “Defective equipment will need to be returned to the factory for repair. Dynon has a three-year warranty but does not cover field warranty repair costs. …our prices never included avionics repair shop warranty fees as these prices were established for the experimental market for homebuilders who build and maintain their own aircraft.” Dynon helps all they can though and offers a quick turn around to keep their customers flying. Plenty of other opportunities exist for avionics shops within the LSA marketplace. 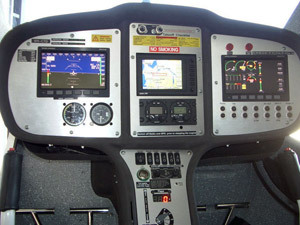 Many pilots opt for a portable GPS instead of a panel-mount unit. The installation of remote antennas, goosenecks and power cords present another opportunity for an avionics shop. And don’t forget about all those headsets those new pilots will need. 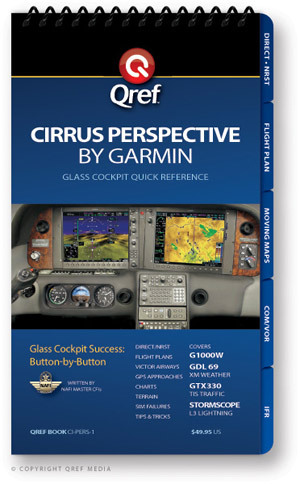 Avionics shops should consider this work worthy of their time and investment. Once again, as with all opportunities, the small things blossom into big things. The new crop of sport pilots are most likely starting in aviation from scratch. They’ve seen the development of the Sport Pilot license and decided to finally take the plunge into that life-long dream. Therefore, these new customers probably don’t know a thing about avionics shops, much less your avionics shop. Since the EAA has spearheaded the Sport Pilot effort, those EAA events are a good place to attract new customers. No doubt AirVenture in Oshkosh and Sun-n-Fun are good places to start, but the EAA started a special event just for Sport Pilots. For the past three years, every January, the Sport Pilot Expo has been held in Sebring, Florida. The biggest draw at this year’s Sport Pilot Expo was Cessna’s proof-of-concept LSA, dubbed the Cessna Sport. Their consideration of entering the market lends a bit of credibility to the LSA movement.